Dover Rowing Club rowers Jo Johnston and Maria West-Burrows were in action at the weekend in the World Rowing Coastal Championship, held in Sidney near Victoria, Canada. 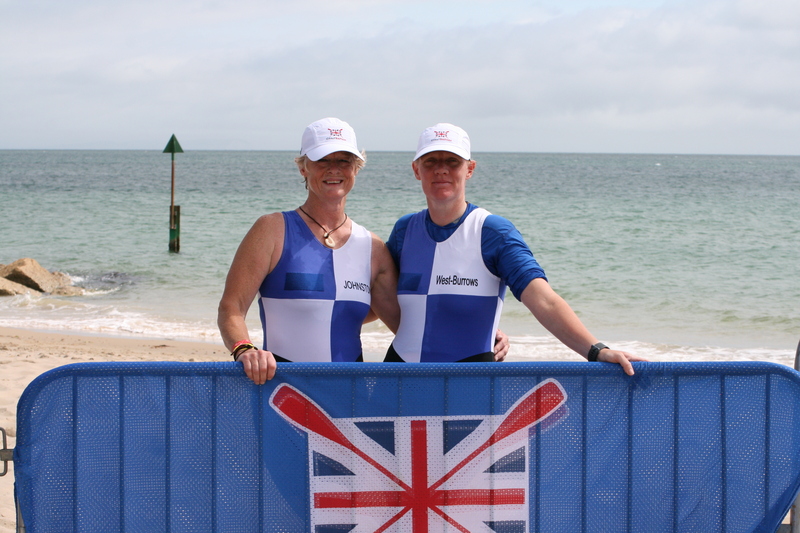 Following the veteran rowers qualification at the British Offshore Championship earlier this year they were designated GBR03 in the Woman’s Double Sculls. Friday’s qualifier saw Johnston and West-Burrows get a great start in their hired racing boat, managing to launch from the beach in the first three crews. They were competing with the lead boats when problems began to appear. 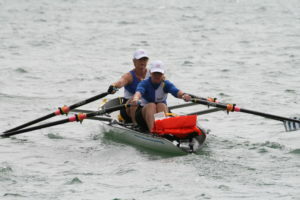 Johnston quickly identified a gate holding one of the blades (oars) was loose and there was a real chance their race was going to be over before the first turn at 1.4 km of the 4 km course. At the turn Dover stopped, off the racing line, to attempt a fix whilst the field passed them. Recognising that the aim of the A final had now gone the ladies chased the field attempting to qualify for the B final in the hope of improving their world ranking from last years event. Gradually they closed on the tail of field and by the third turn at 2.9 km were able to slowly overhaul back markers, coming home in a frustrating 11th place in a time of 22 min 51.1 sec. Their efforts saw them grab a place in the B final. Saturday saw an early start as the Johnston and West-Burrows stood ready in the calm clear waters of the bay. Another good start saw the Dover crew towards the front of the field. At the first turn they were fighting for 3rd with USA02, whilst GBR01 moved into the lead. By the second turn Johnston and West-Burrows found themselves in 4th with clear water behind. Pushing hard they were unable to close down on USA02 at the u-turn around buoys three and four but headed home to take 4th comfortably in a time of 22 min 26.6 sec. Their finishing position improved their event ranking from 23rd to 20th.